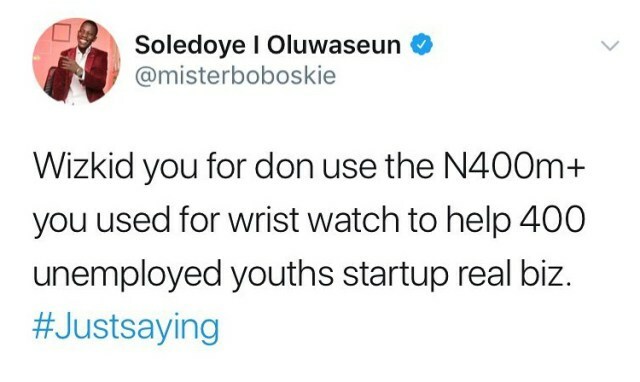 Though he didn’t indicate if he actually purchased the multi-million naira watch, but folks are assuming he did.. Like why can’t he? He’s rich AF! 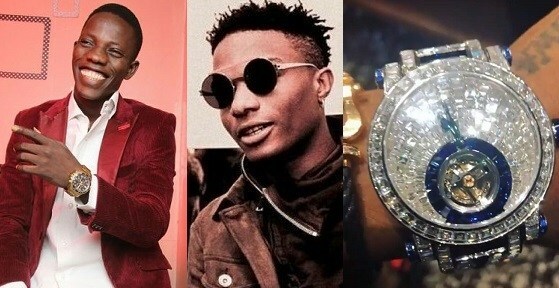 Wizkid should have used the “over 400 million” to elevate about 400 unemployed Nigerians from poverty… By giving them 1 million naira each. therealpinkee_: “Special adviser.The ones that won’t teach u how to make money but will teach u how to spend ur own money. dqnadiya: “So what u mean is, what he works so hard for should not go on him because it’s too expensive ohh but he shld give to others to prove himself yeah!